Location Plus! Top floor living in this penthouse suite facing south. This home is bright all day! 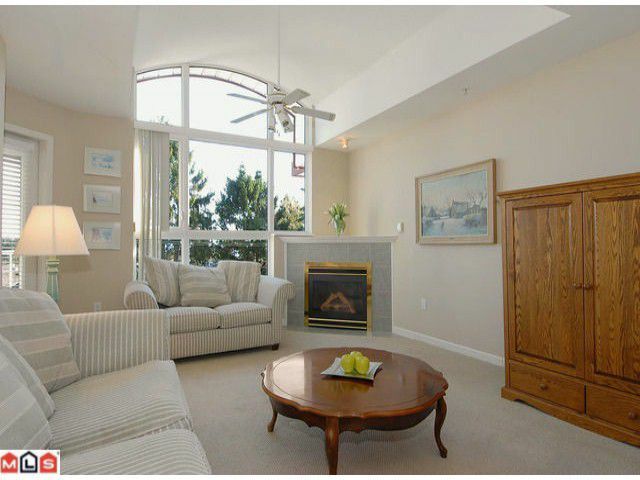 It features a huge living room window, vaulted ceiling, angled gas fireplace, oversized covered balcony. There is some view of the water, view of Mt Baker from deck. This unit is on the quiet side of the building overlooking lower units across the quiet dead end street. Open plan, the white kitchen is open to a large living/dining room. Large master bedroom, big window, easy access to cheater ensuite, 2 good closets. Skylight in kitchen and hallway. Building has been rainscreened in 2000 and has updated vinyl windows. The Monterey lifestyle includes a rooftop deck and exercise room plus lovely garden area. The location is a 5 minute walk from City Center, on bus route. Pets OK with restrictions. Maint. fees include gas and hot water. Unit is clean, vacant, ready for your decorating touches! This home feels big and open, with good storage & a functional floor plan.